Focus your product development investment by capturing real-time feedback on your product concept early in your development and evaluate the strengths and weaknesses of potential ideas. Concept testing allows you to test out potential new products early on in their development, before you invest heavily in them. It takes real-time feedback on your product concept early in your development and evaluates the strengths and weaknesses of potential ideas. It means you can focus your resources on the ideas with the most potential and save time and budget by scrapping the ones that are less likely to be successful. 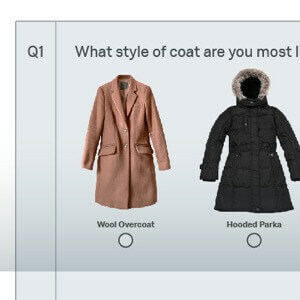 Concept testing is a valuable step to identify perceptions, wants and needs associated with a product or service. 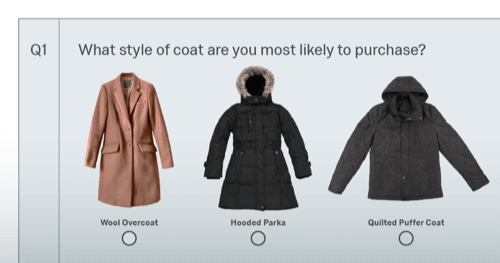 Understand which concept your target audience will be most likely to purchase. Collect qualitative insights for your concepts to help further refine your ideas and focus on features and functionality that most appeal to potential customers. 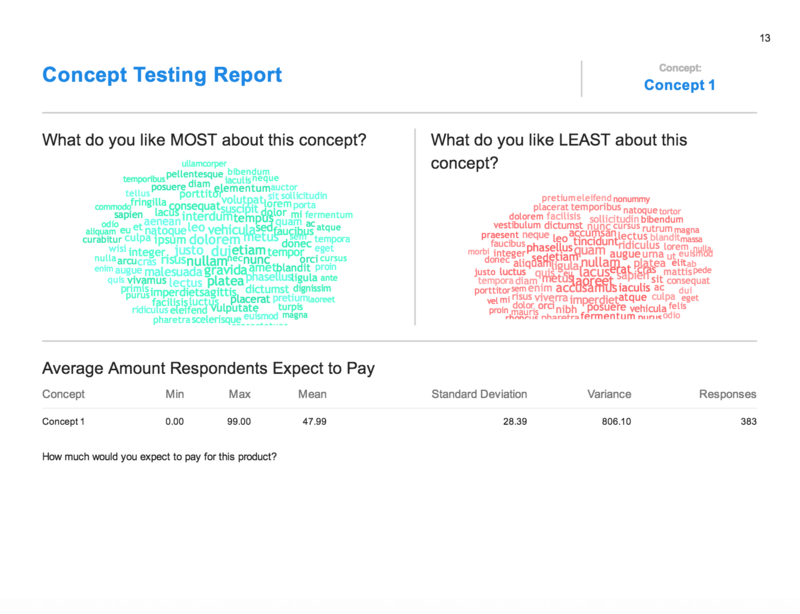 An expert-built concept test survey template preloaded with the right questions to help you save time and get results faster. A recommended number of respondents to maximize confidence in your data, specific to your project design. 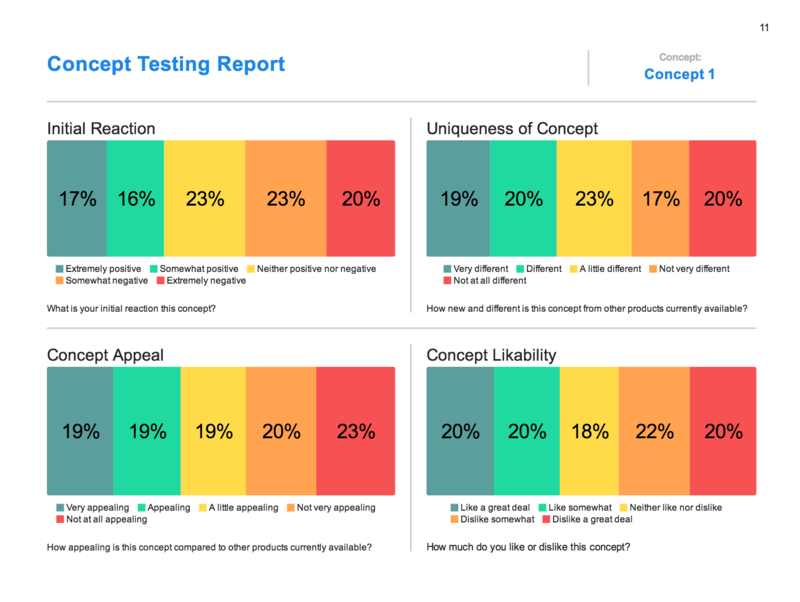 For concept testing, the number of respondents is typically based on the approach and number of concepts.